Today is a big day for Android Stitcher users. 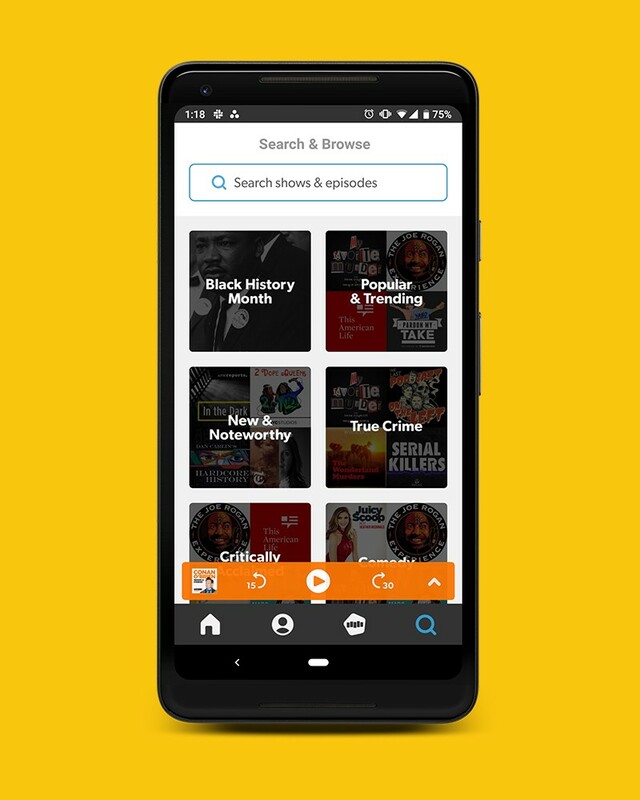 We are rolling out a huge update that modernizes the app experience and makes it even easier for you to get to the podcasts you want to listen to. Navigation — You’ll probably quickly notice that we moved to a bottom tab navigation. 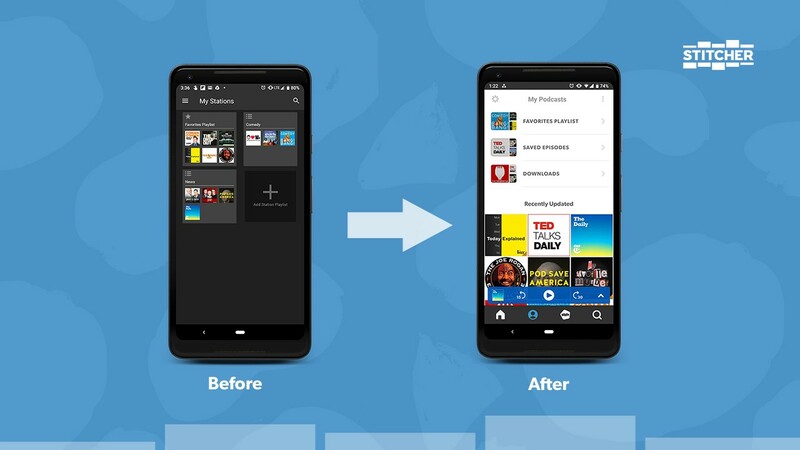 This puts the podcasts closer to your fingertips, and makes it easier to jump around to different parts of the app. 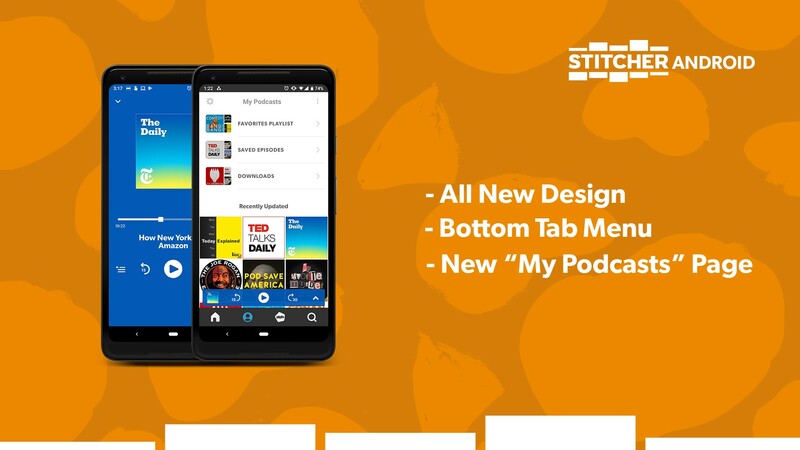 From left to right you can choose “Home, My Podcasts, Premium, and Search & Browse). 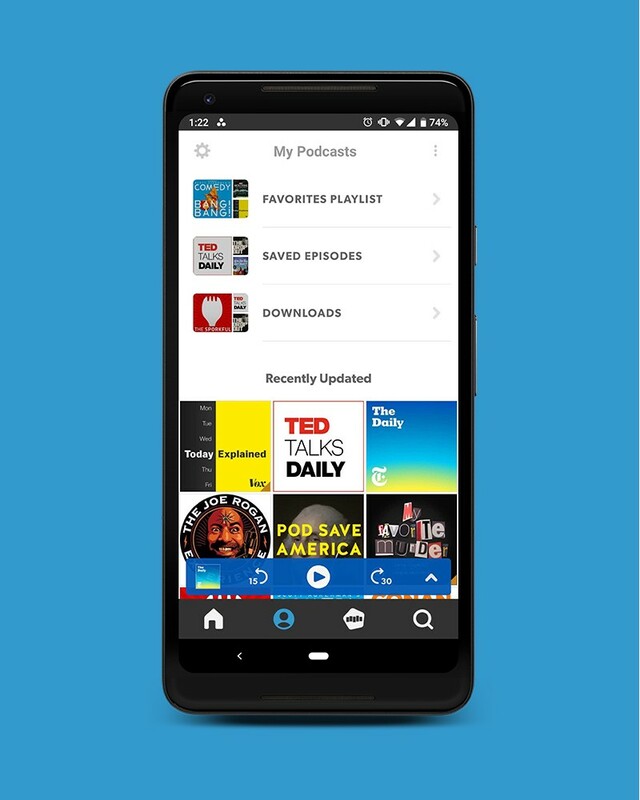 My Podcasts — Organize all your podcasts and playlists in the brand new “My Podcasts” section! You can also get to listening stats here, so you can brag to your friends about how much you are listening. There’s also a new “recently updated” area of this section, so you can get to the shows you want to listen to even quicker. 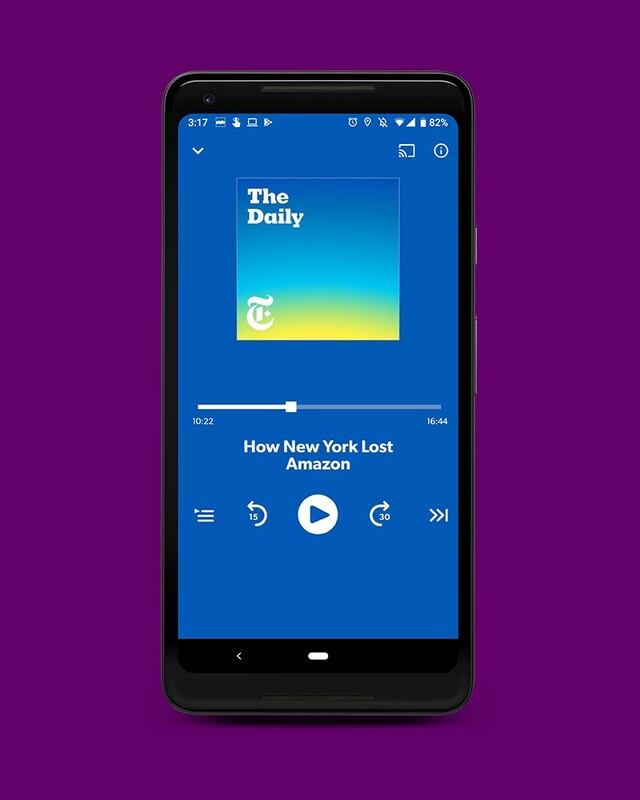 Search and Browse — We’ve combined search and browse giving you one place to find your next favorite podcast. All New Design — Along with the tabbed navigation, we’ve done a lot of visual clean up including new look for player controls, and an updated notification panel … ooh la la. We hope you enjoy these changes! Let us know what you think via the Help section in the app or hit us up on Twitter, Instagram, and Facebook.